Yesterday Dlike.io came to my attention. If you click on privacy.php it's an empty page. The mobile app crashes every time when I click on my profile picture or profile tab from the left. 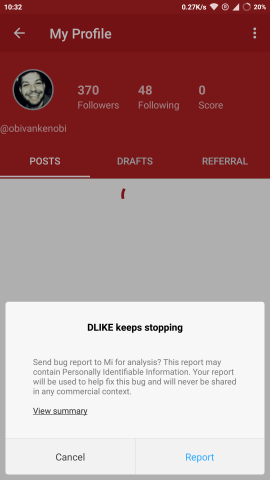 Randomly clicking on too many things inside the app is likely to crash it too. You can select between a Grid or a List layout. Grid is default. 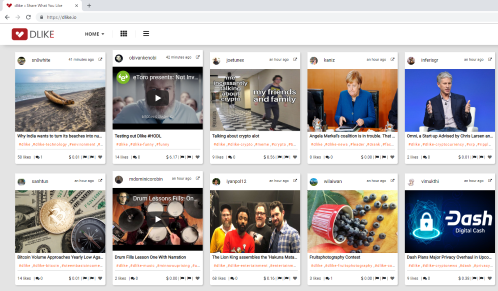 Nice idea to have Pinterest or Tumblr alternatives on Steemit. However DLike is still in an alpha stage from my experience. Beautiful but slow web interface. Questionable mobile app stabilituy. Can't see much value in re-posting funny images, gifs or cat videos from the Internet on steemit. When it comes to sharing and ranking gifs and images, Reddit does a great job already.